Jean Valjean and Javert call a truce! Actually, J. 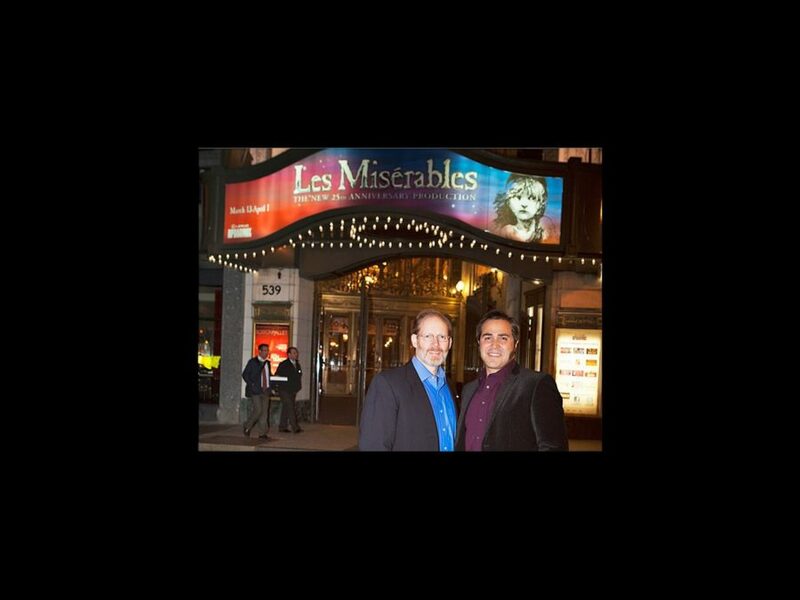 Mark McVey and Andrew Varela, who play the iconic characters in the national tour of Les Misérables, respectively, were the ones making peace. The two stars posed for Seacia Pavao Photography outside the Boston Opera House on the tour’s Beantown opening night on March 14. The cast of the musical will present a one-night-only cabaret to benefit Broadway Cares/Equity Fights AIDS at Club Café on March 19. The concert, which is titled “Unexpected Songs: Broadway With A Twist,” will be followed by a VIP after party at Kimpton’s Nine Zero Hotel, where the cast will be able to meet the cast and receive a special Les Misérables gift bag. In the meantime, get your tickets today to see this sweeping musical, which plays in Boston through April 1!